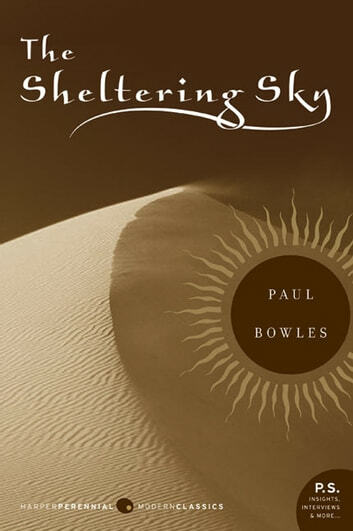 In this classic work of psychological terror, Paul Bowles examines the ways in which Americans apprehend an alien culture--and the ways in which their incomprehension destroys them. 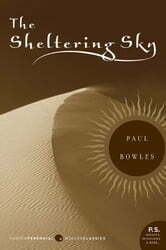 The story of three American travelers adrift in the cities and deserts of North Africa after World War II, The Sheltering Sky is at once merciless and heartbreaking in its compassion. It etches the limits of human reason and intelligence--perhaps even the limits of human life --when they touch the unfathomable emptiness and impassive cruelty of the dessert. 1949. Three American travellers in Algeria deal with their fear and attitudes towards the locals (and to the French), as the drama unfolds. Perfect descriptions of North Africa. Full of fear, paranoia, and terror. Fast-paced and excellently written. It's hard to put down. I read it in pretty much one sitting.